Last month, when University of Vermont President Daniel Fogel announced he is retiring, it opened a search for a new leader and an opportunity to assess how UVM is meeting it challenges. 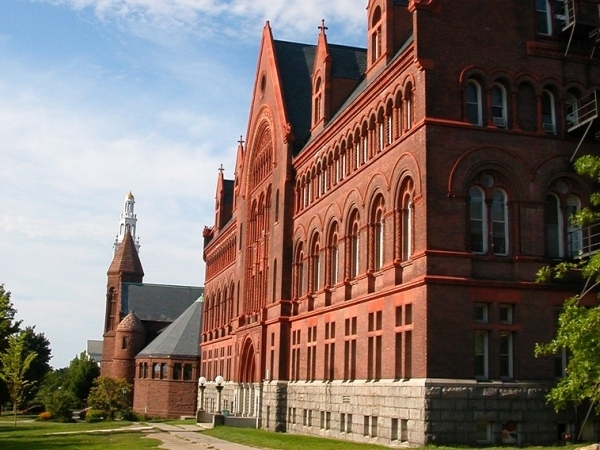 Provost Jane Knodell joins us to discuss the search for Fogel’s successor, how UVM’s new emphasis on academic research is developing with Spires of Excellence, and how the university is closing its projected budget deficit, including a proposed 5.8 percent increase in tuition. Also in the program, medical volunteers in Haiti. The earthquake 16 months ago inspired strong response among medical professionals in our region, with delegations of doctors and nurses going to earthquake stricken areas to lend assistance. But we talk with one Vermont physician, Dr. Jack Long, who’s been making yearly volunteer trips to a hospital in Haiti since 1983. The University of Vermont’s Board of Trustees is set to study a plan that could transform the school’s core identity. The "Spires of Excellence" plan would re-shape graduate and research programs, and eventually affect undergraduate studies as well.